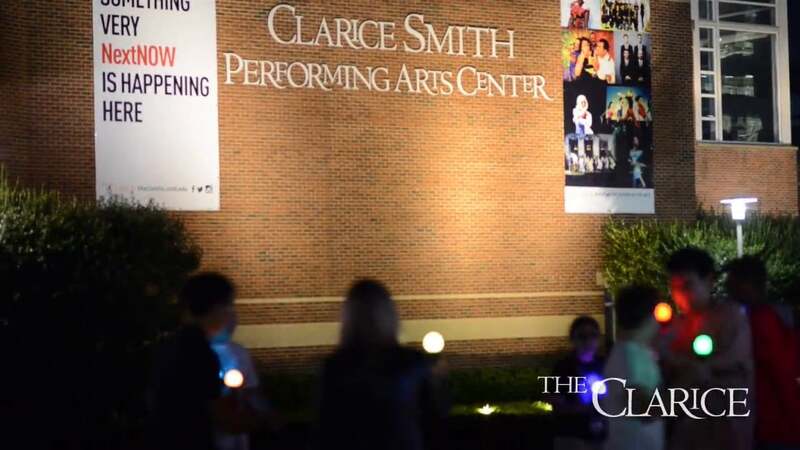 The Clarice Smith Performing Arts Center, where Berick performed Tuesday. Photo from The Clarice Vimeo. Internationally acclaimed and award-winning Israeli violinist Yehonatan Berick performed Tuesday night as part of a Music in Mind series hosted by the Clarice Smith Performing Arts Center. A teacher as well as a performer, Berick also acts as a visiting professor at several universities and travels regularly between America, Europe and Israel. He was accompanied on the night of the event by pianist Rita Sloan, who is a piano faculty member and director of the collaborative piano program at this university. Berick performed a selection of Johannes Brahms’ Violin and Piano Sonatas for the audience, beginning with a piece in which his volume ranged from a gently hushed lullaby to forceful rolls of pulsating thunder, but never wavered in maintaining a tone ripe with tender, warm sound. His vibrato wavered to a point of near transcendence in the three-movement piece, Sonata No. 1 in G major, Op. 78. Sloan set the scene and Berick led us through the world he created as he played. There’s an unmistakable element of human touch in Berick’s playing that helps bring people in, get them involved and make them excited. Living up to his introduction, Berick continued fearlessly into Sonata No. 2 in A major, Op. 100, in which all three movements exceeded expectation. Looking as if he were about burst from his chair at any moment, Berick dug into his strings and pulled out something from deep within them. He continued to rapture as he swung into each note with knowledge and grace, paying the perfect amount of attention to the interwoven elements of the song that proved to be more powerful than the first. A riveting climax, one that consisted of seesawing between strings, from one extreme to the next, brought us to a gentle conclusion, just as bright as it had begun. After a brief intermission Berick started playing Brahms’ four-movement Sonata No. 3 in D minor, Op. 108. His final piece, Berick came back as if he had never left the stage, playing with his initial vigor. The piano resonated perfectly with his playing in this piece. The two seemed to climb higher and higher, reaching and attaining something not easily forgotten. The finale was everything it should have been: lingering, heartfelt and an adventure that reveled in the concluding measures in its victory that was completion. A creator that breathes life into an instrument, Berick tells a story of catastrophic struggle and revelation through his music. He is passionate and fully in control of the emotion he exudes. I’d forgotten how thrilling live music can be and how it creates this tangible emotion you can almost reach out and pull close to you, that you can pluck out of the air and feel! It’s unbelievably good, and if you haven’t had the opportunity to experience it in person, I highly recommend doing so. No Replies to "Israeli violinist Yehonatan Berick brings new life to Brahms’ sonatas"